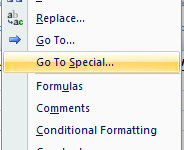 When writing a list, Microsoft Excel autocorrects some words by default. Sometimes this feature can be frustrating. Excel AutoCorrect doesn’t work like Microsoft Word spell check. Entering ‘dgo’ when you mean ‘dog’, for example, will not be corrected. But, ‘DOg’ will be corrected to ‘Dog’. Other AutoCorrect features are the capitalization of names of days and the first letters of sentences. 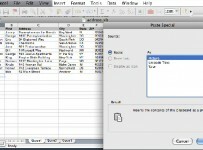 This tutorial will teach you how to turn off these and other features of Microsoft Excel AutoCorrect. Let’s say you type ‘DOg’ and want it to remain that way. Click Tools > AutoCorrect… and uncheck the box Correct TWo INitial CApitals. Now, go back and type ‘DOg’. You will see that it appears as you have typed it now that the AutoCorrect feature has been turned off for this particular scenario. Exceptions can be made to this rule. 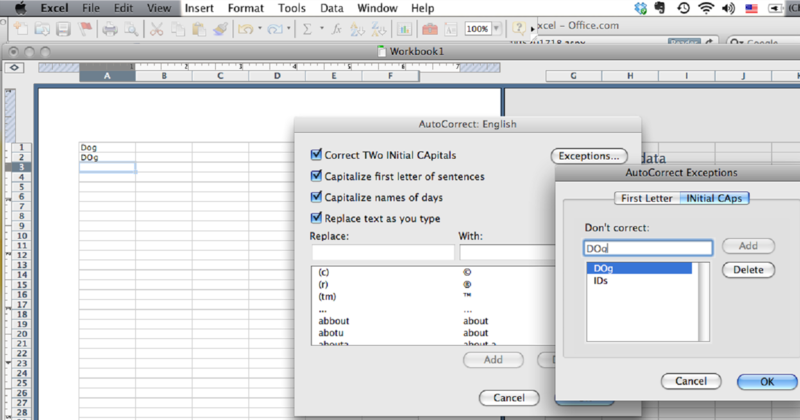 If you want Microsoft Excel to AuoCorrect all “two initial capitals” except for certain instances, click on Exceptions… > INitial CAps and then enter in the words you don’t want corrected. 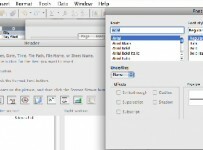 Other AutoCorrect features that are built into Microsoft Excel can be removed as well. If you don’t want to capitalize the first letter of sentences, perform the same step. Click Tools > AutoCorrect… and then uncheck the box Capitalize the first letter of sentences. 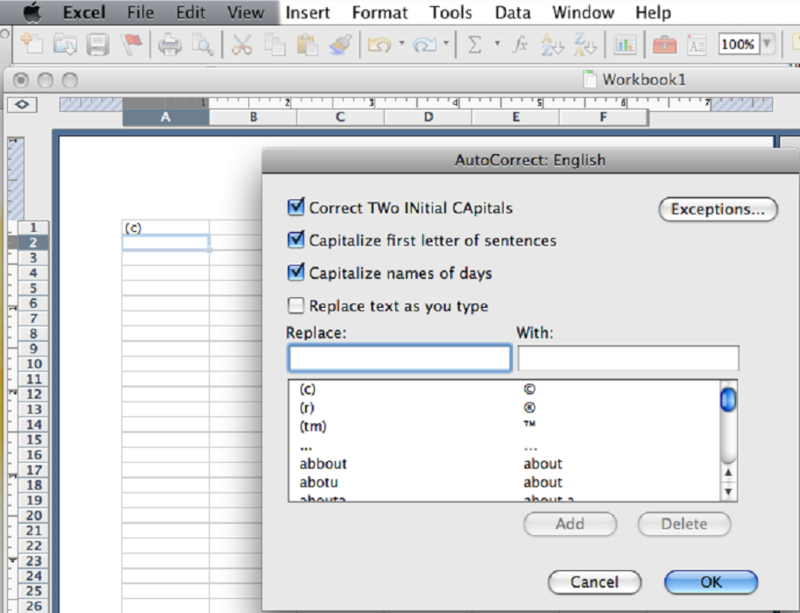 To stop Microsoft Excel from capitalizing the names of days, click Tools > AutoCorrect… and then uncheck the box Capitalize the names of days. Removing the check in this box will stop Excel from AutoCorrecting words and symbols that you don’t want changed. 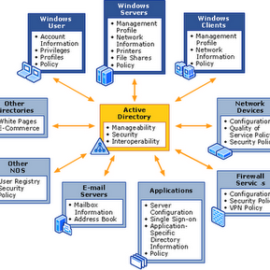 You can add any words or text to this list or delete any words or text from this list. 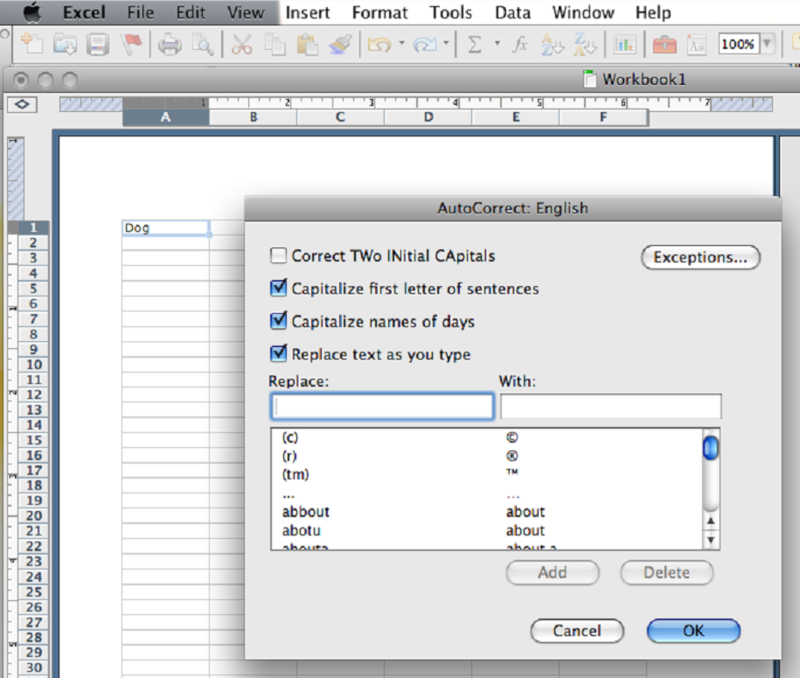 Knowing how to control Microsoft Excel AutoCorrect features can eliminate many frustrations in the future.